I took apart my new scooter to try to find an oil leak and what i found was that when I put the valve cover back on after i checked the valves I got a small piece of rubber from the spark plug cap stuck between the head and valve cover gasket. Now there's a small indentation in the gasket. 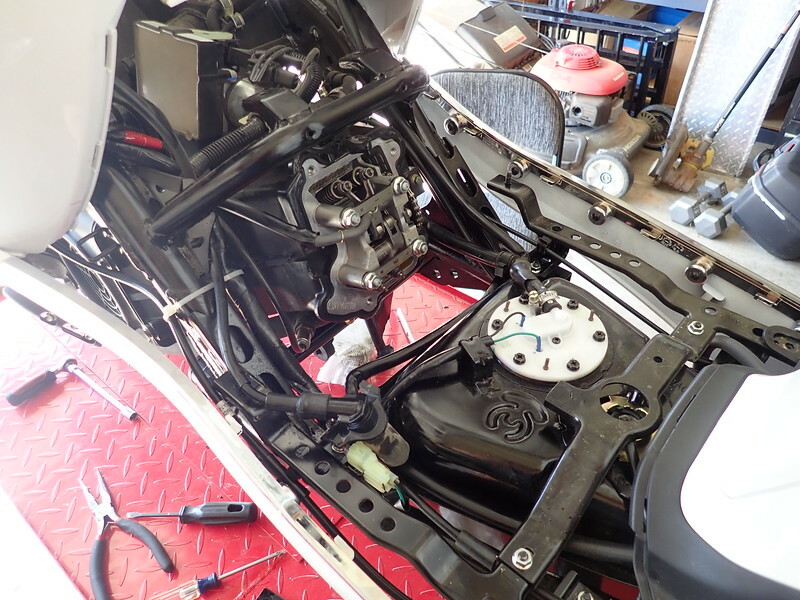 I'll order a new gasket but that may take a while. I'm wondering if some permatex might seal that up until I check the valves again in around 5,000 miles. Also, what kind of permatex would work best? There are so many different kinds. Any suggestions or should I just wait for a new gasket as getting to the valve cover is a real PITA? You can see the indent bottom and slightly left. Blue seals great and is easy to remove later when you get the new gasket. I talked to my buddy Steve. He said that maybe heating the gasket a bit with a hair dryer might just get it to expand back. It's a long shot but worth a try. He recommended Permatex ultra black if that doesn't work. blue or black comes off easy, but red can get hard and stain the cover. 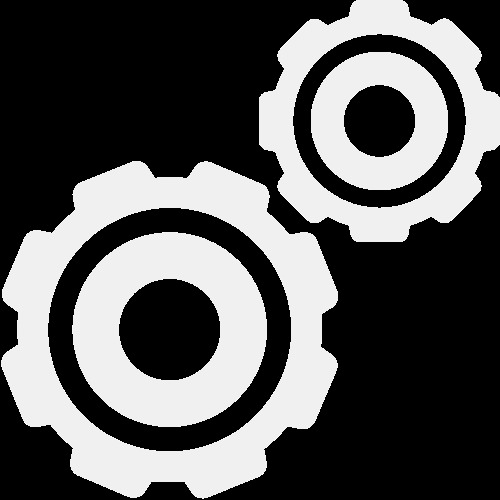 don't use very much of it, you don't want it to get into the oil system. 1 Like klaviator likes this. I second Permatex ultra black. Exceptional oil resistance. Be cautious with it and only use a very small amount. It also removes easy from aluminum later down the road. I did something similar when I was checking the valves on my 690. The gasket twisted and dumped a good bit of oil on my leg during a jaunt to the end of the street. I just straightened the gasket up and when I torqued the valve cover it smoothed everything back out. A small dab of permatex may be a good precaution if the gasket has a long lead time! 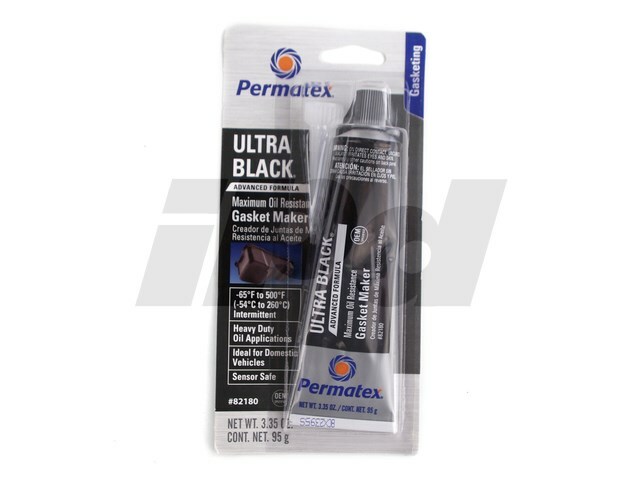 I would suggest Permatex Ultra Black. 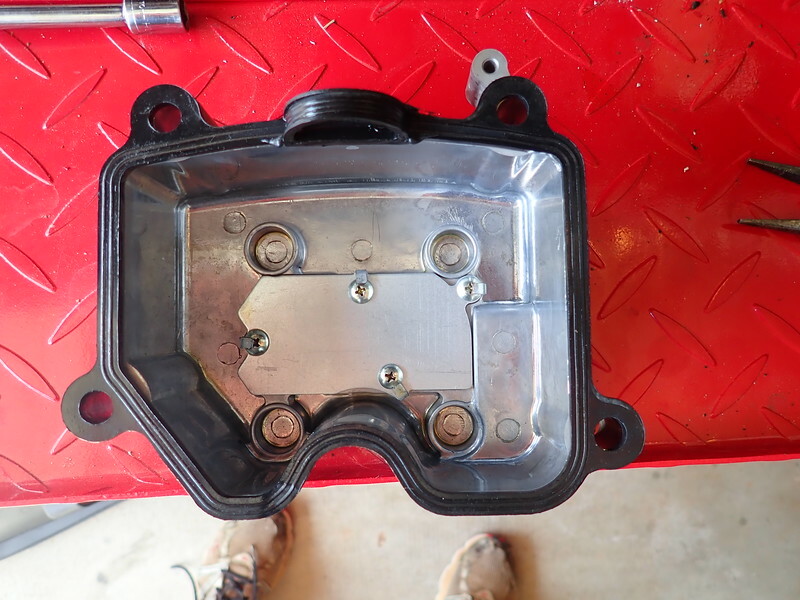 I'm about to replace the leaky oil pan gasket on my Wrangler 4.0L. The instructions actually say to use it in specific leak prone locations even though it has a silicone gasket similar to your valve cover. The product even has a picture of a valve cover on it. 2 Likes klaviator and Gam like this. I got a tiny .5 OZ tube of Ultra black gasket maker and applied just a tiny bit to the indentation as well as the corners of the half moon cutout. As per directions I cleaned the area before applying and then finger tightened after application. After an hour I'll torque it down and then wait at least 24 hours to run the motor. I think this should do the trick. It's possible that as small as the indentation was just torquing it down might have done the trick but this stuff should make sure of a good seal. Thanks for all the responses. I'll let you know in a day or two how this worked out. 3 Likes springer, Fencejumper09 and kylepeterson like this. I thought I had the leak fixed and I put everything back together but after going for a ride it still has a slight leak. It won't stop me from riding it but I'm going to order a new gasket and replace it. Another ride today and no leak Hopefully it will stay that way. 4 Likes KevinB, kylepeterson, Nice Goat and TWJohn like this.